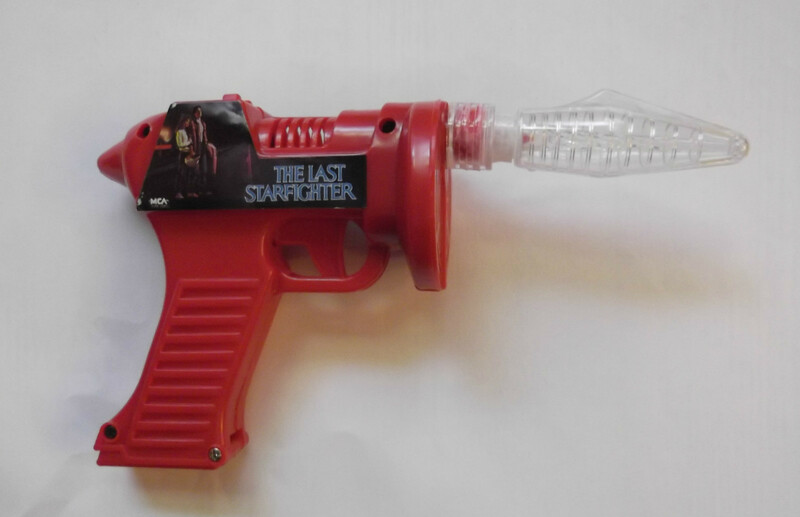 The “Super Electronic Gun” was a promotional item given away with purchase of The Last Starfighter on VHS. 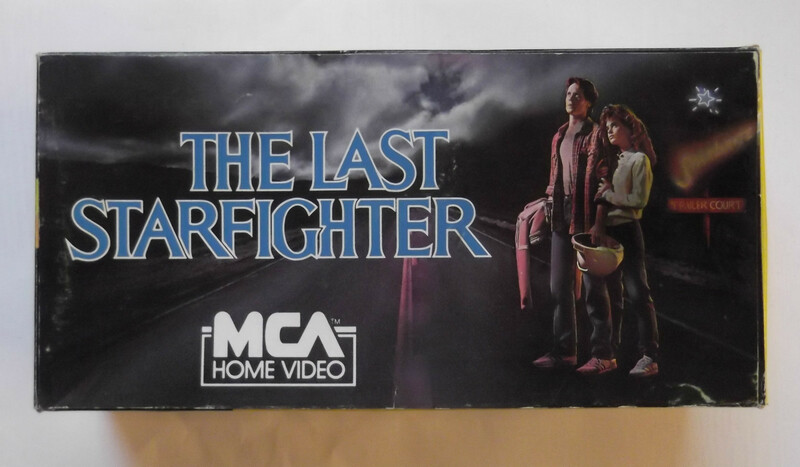 Nothing resembling it appeared in the movie, but no matter. 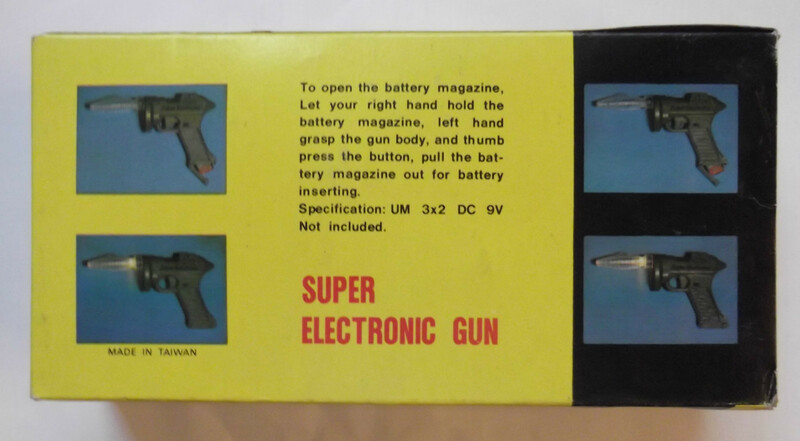 The phallic, ribbed tip lights up after you “pull the battery magazine out for battery inserting.” If only it vibrated. 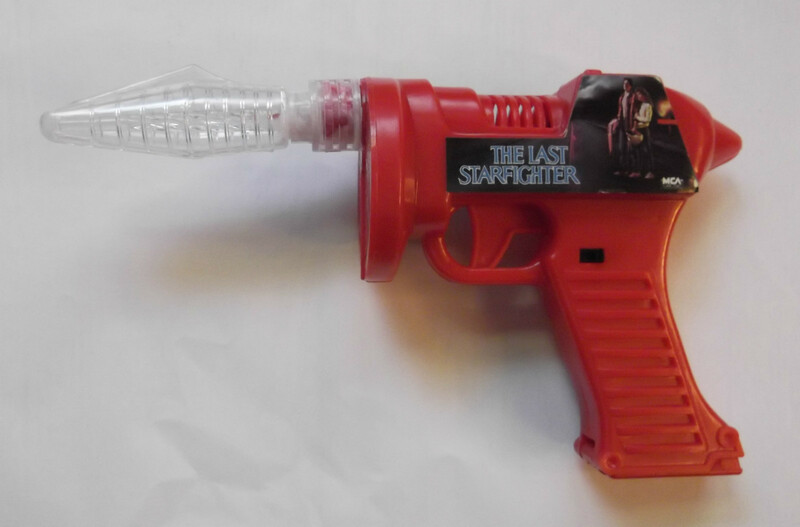 UPDATE (3/17/15): The gun was in the movie, as seen in the screenshots below. I’m not sure if it’s supposed to be part of robot Alex’s equipment or Louis’ toy, but there it be!